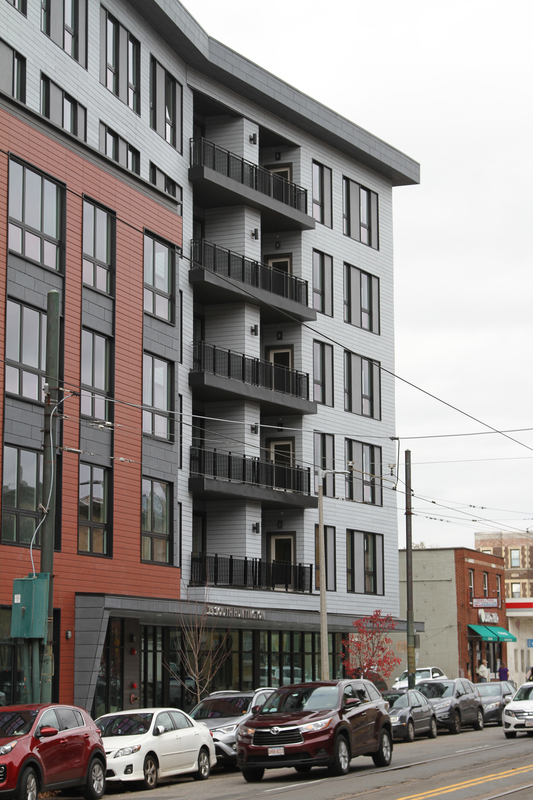 Ocean Works recently collaborated with general contractors to put the finishing touches on a large multi-use building. 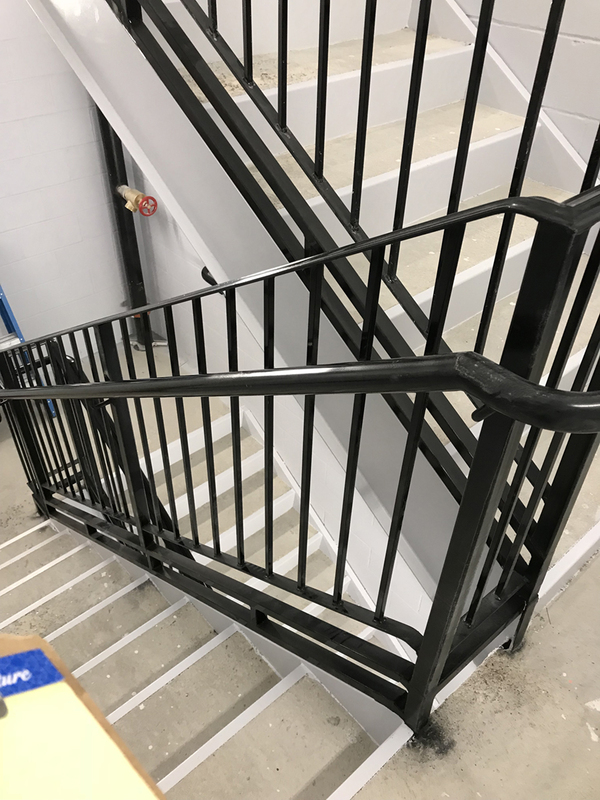 Ocean Works’ custom ironwork appeared in the two interior stair towers, the front balcony railings, and perimeter railings and gate. 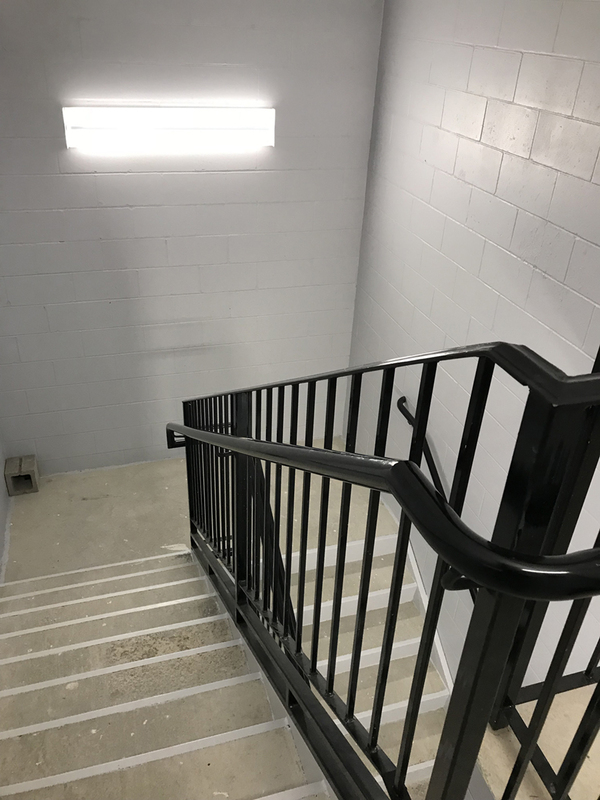 For the interior stair towers, Ocean Works created pan stairs made to custom specifications and readied for concrete fill. 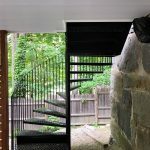 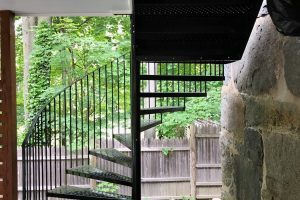 Paired with our wrought iron railings, the interior stairs are an example of Ocean Works ability to work with a contractor to meet a buildings’ needs as well as meeting building code specifications. 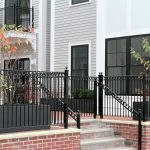 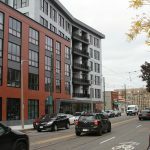 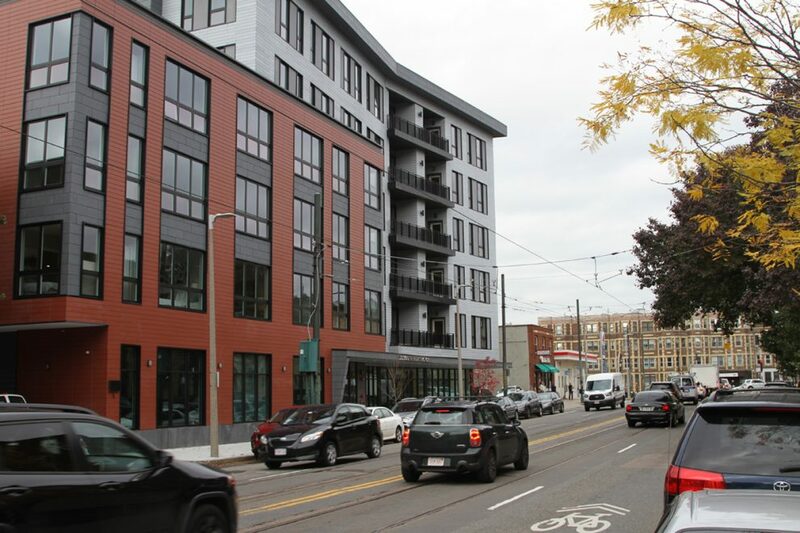 Ocean Works helped execute the architecturally designed front of the building adding front balcony railings made according to architectural renderings. 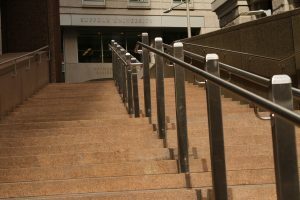 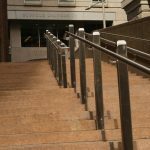 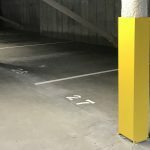 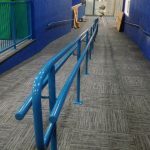 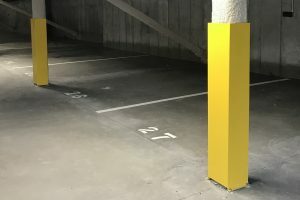 All railings were powder-coated to ensure a long-lasting finish. 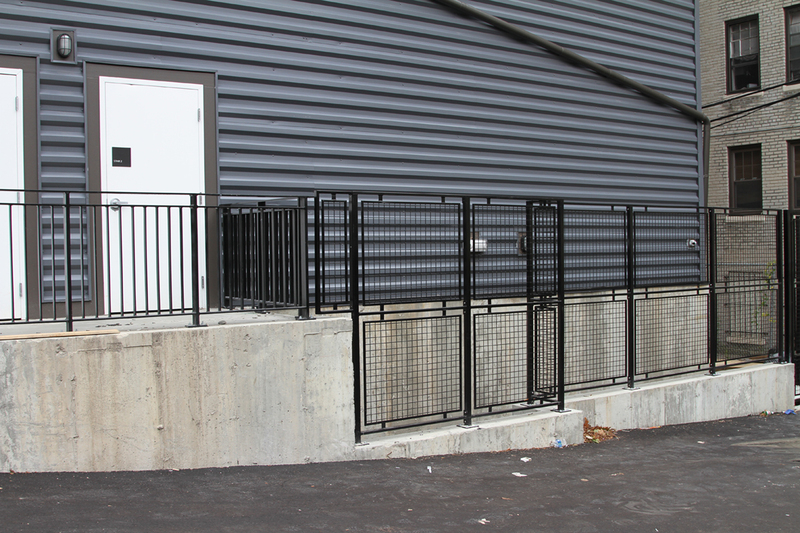 Ocean Works used this same method to complete the perimeter railings for the side and back of the building. 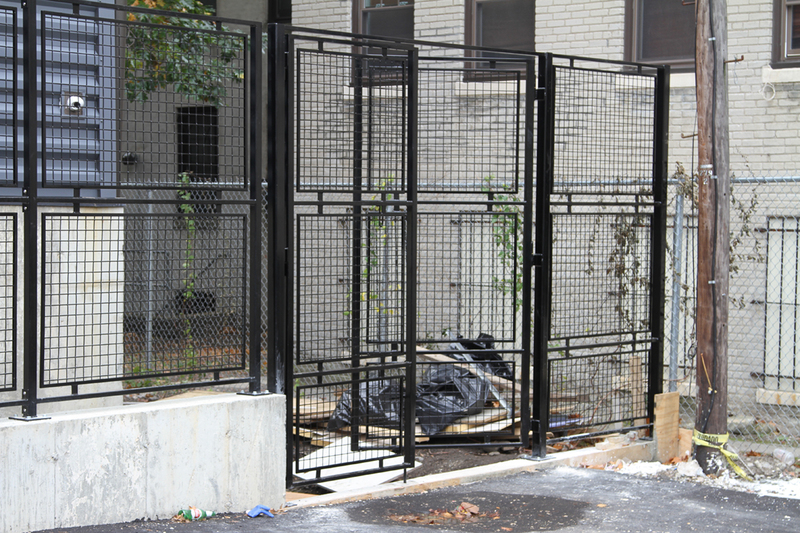 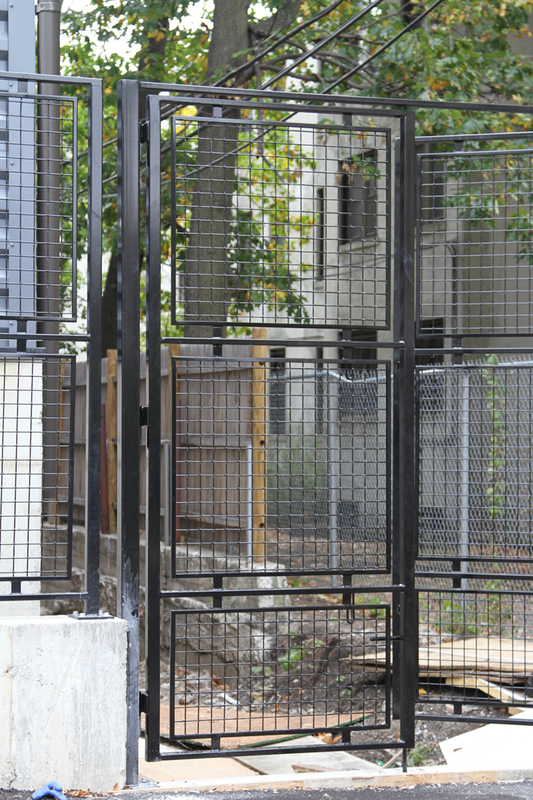 Adding to the building’s modern style, Ocean Works also created a stylish and functional gate.